We all know that students are different and learning is not one-size-fits-all. Some students need more academic assistance and support than others because of documented physical or cognitive disabilities. To accommodate the variety of special needs present in today's classrooms, schools have created a variety of tiered placements and intervention strategies based on the severity of needed assistance. Two instructional models dominate special education services to be given in the general education classroom: inclusion and pull-out. 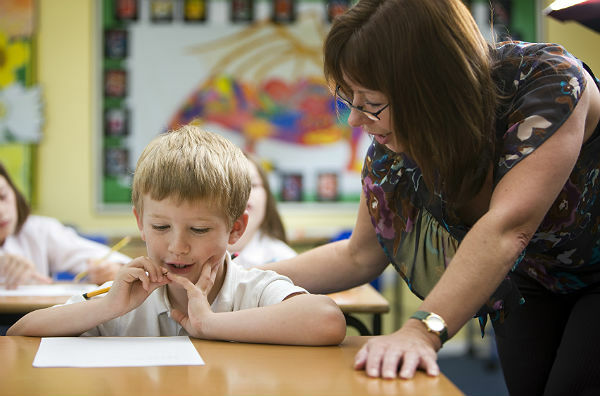 The inclusion setting is beneficial for students with disabilities, provided that general education teachers are equipped with skills to deliver such instruction to students different from the remaining students in the class. The success of this model depends not only on special education training but also on general education teacher's ability to work collaboratively with special education teachers. The pull-out model implies that students must be temporarily separated from the general education setting to receive additional support and special resources. Within the structure of the resource room, students may find much-needed support compared to only participating in general education (GE) learning experiences. The resource setting is particularly beneficial for students whose performance is not comparable to their grade-level peers. The question of who should be placed in which setting is far from being given a definitive answer. Some school districts have implemented policies that demand full inclusion for all students with special needs. Others have adopted both models and require that decisions about student placement be based on severity of the impairment or other considerations (special educators' recommendations, careful observation of student behavior in the classroom, analysis of student achievement data, etc.). Regardless of type of instruction adopted within schools or school districts, schools must evaluate how well the implemented models are working in practice on a regular basis to assure the individual needs of the student with a disability are being met. Placement decisions permit special education services to be provided to students based on their individualized education plan (IEP). This assures due-process steps are properly attended to for the educational interest of the student. To discover more about SE services provided, I decided to conduct some research. The objective was to gather information about the ways schools are operating, how the teachers teach and how the students learn. The investigation site was a Title I Reward School for Performance, which is among the highest performing Title I schools in a given year. Data was collected using two different questionnaires. The first consisted of 14 open-ended questions. The second utilized a Likert-type scale with 10 questions. The 20 educators involved in the report were purposely selected because they have a student with a special need enrolled in their GE classroom or are familiar with scheduling for special education services. Here is a quick look at some of the results. Research Question 1: How do educators of various backgrounds judge the effectiveness of inclusion and pull-out instruction as currently implemented in school? When asked about students with special needs missing lessons received in general education, 30 percent of respondents "agreed" that more important lessons are being missed. Only one response "strongly disagreed" that more important lessons were being missed. That one classroom teacher probably understood about accommodating, scheduling and service needs. Overall, 45 percent of the sample believed regular education assignments are more important than the direct, specialized instruction received during pull-out service. It depends on particular cases, but definitely I would have to look at the case in particular students' need, because inclusion does not work for everybody. If the student is more independent, inclusion can work well. Yet if the students has more difficulty, I believe pull-out works best. Generally, these students benefit from smaller classes with less distraction. It seems that full inclusion is working. It depends on the student and the degree of their needed support. I think it depends upon the teachers and students involved. It does not work for every student or teacher. Regular education students may gain a better understanding of individual differences among peers and hopefully gain better social skills and acceptance, which are needed for life. Regular education teacher has to have time to plan with the special education. Assists in aiding teacher to better serve students. Inclusion model has not impacted student services. Students feel less embarrassed by not being pulled out of class. Inclusion teacher includes other students in some small groups. I don't think it is making that big of a difference. Students are not getting the individualized instruction they need. Look at the data, but also at the students' performance. Research Question 2: How should a school provide special education services to better serve the needs of students with disabilities? This question was asked related to grade-level co-teaching opportunities, and 40 percent of the educators agree that special education and regular education teachers should co-teach together in the classroom. Two out of 20 "strongly disagree" that a special education teacher should be in the regular classroom each day. It would depend on my students' particular needs. It's hard to say because it really depends on the students' needs. Pull-outs for those that need intensive special education services, while inclusion for those with strategic services. I feel the pull-out model with a small group would be the most beneficial to my classroom. Either can work, but pull-out might provide more instruction in a smaller amount of time. Should take into account their needs, and the model should suit those needs.It truly depends upon the student. Inclusion as much as possible if it is effective at their level and set goals above their level within reasonable limits. Students with disabilities should be pulled out and served in a separate classroom so they can get the services they need without the distraction. It just depends on the disability and the age. It isn't a one size fits all. Where they are best served. Some students need more small-group and individualized instruction. SE teacher needs to do more individualized instruction with those student(s) who need specific skills. More communication with the GE and SE teacher on specific instructional content/activities the student is receiving in special education. More collaboration with the GE teacher/assistance in administering assessments. Students do miss subjects. However, they are receiving needed skills and instruction in small group. They lose GE instruction and then they get "caught up" slightly as long as the schedule is consistent. The GE teacher creates an individualized schedule. It would help if both teachers came up with some ways to give grades. Pull-out teacher needs to be aware of what the regular teacher is working on and align the lesson plans so we make sure the students are getting the material with us. When asked if inclusion had made a significantly positive impact in the GE classroom, nine participants agree that instructional time is improving for students with special needs. Fifty percent of the respondents neither disagree nor agreed. Clearly, most educators still consider that service needs should be determined based on individual needs. Nine of the 20 participants agreed that inclusion has made a significant impact on instruction in the general education classroom, followed by eight of the 20 answering they neither agreed nor disagreed. When asked if students with a disability fair better receiving instruction in the general education classroom using full inclusion, half of the participants neither disagreed nor agreed. Question 5 presented whether pull-out was the best instructional alternative, and seven out of 20 disagreed, while another seven answered they would neither disagree nor agree. When asked if there was plenty of support to successfully implement the full inclusion model, the majority of answers showed partakers disagree. Therefore, more professional development would seem beneficial to allow teachers lecture time to understand the "special" in specialized instruction. April Smith is a graduate student at Furman University completing a master's degree in emotional behavioral disorders. She is a special education teacher for the Greenville County School District with more than 15 years of experience. April is certified to teach students with learning and intellectual disabilities.